Cairo has always drawn Arab talent seeking to make a name in cinema, so it’s no wonder we’ve seen a stream of talented Arab actors rise to stardom in Egyptian cinema and television. 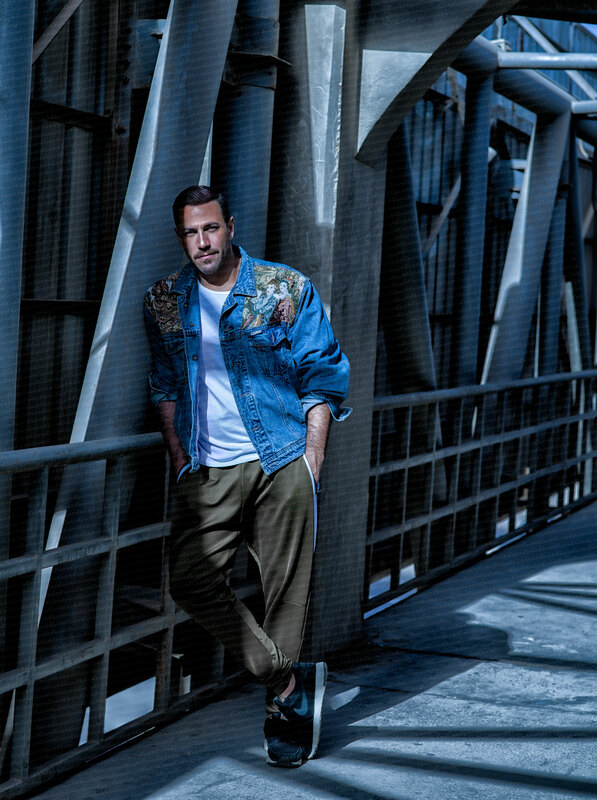 Thirty-nine-year-old Lebanese actor, Nicolas Mouawad, is the latest Arab actor who appears to be on the cusp of making it big in Egypt’s film industry. eniGma’s Chairman, Samia Farid Shihata, sat down with Mouawad for a wide ranging conversation that covered his career path to Cairo, the roles he has played, his plans for the future, and even his views on love, commitment and Valentine’s Day! Having obtained a degree in civil engineering in 2002 at his parents’ insistence, an acting career would not have been in the cards for Mouawad, had he not simultaneously pursued a second degree in acting, graduating from film school in Beirut in 2003. As a young boy dreaming to become involved in film, he had always thought of himself becoming a director. The reason he applied for a degree in acting rather than directing was because the former came with free tuition, so he didn’t need to inform his parents about it! Fortunately for him, however, he realised that he really loved acting at the very moment of his entrance exam. “I had to do a monologue from Shakespeare’s Richard III, and while I was doing it, I felt an amazing pleasure. That’s when I realised that I really love acting,” he recalls. 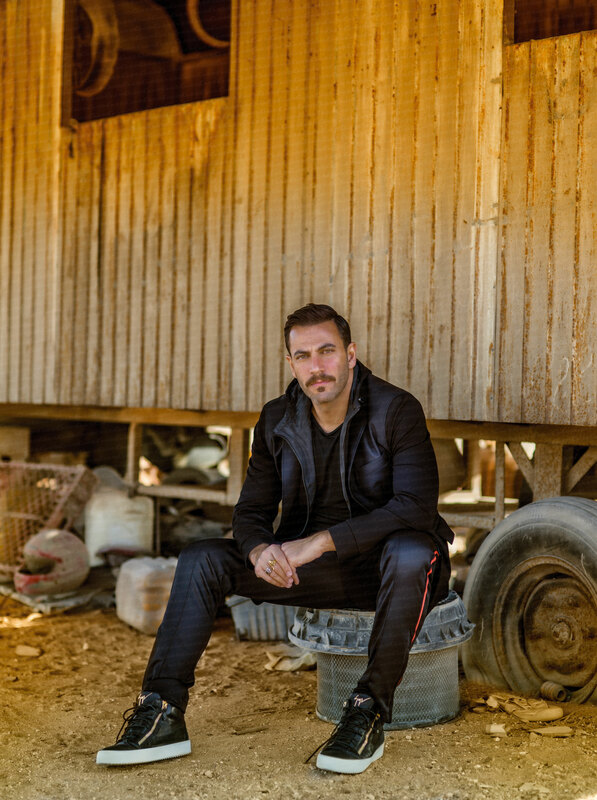 Mouawad began acting in 2002, pursuing a career as a serious stage actor in Lebanon for four years until Marwan Naggar, the Lebanese producer and writer, picked him to be the lead in a television series. The irony is that, before that, Mouawad used to hate television, believing it was not as ‘real’ as theater. In hindsight, this debut in Lebanese television may have been the prelude that led to his big break onto the Egyptian small screen. Not long afterwards, he got a role in the joint Arab series, Leabet El Mot, and that was followed by his first role in an Egyptian TV series, Wannous, with the legendary Yehiya El Fakharany, aired in Ramadan 2016. 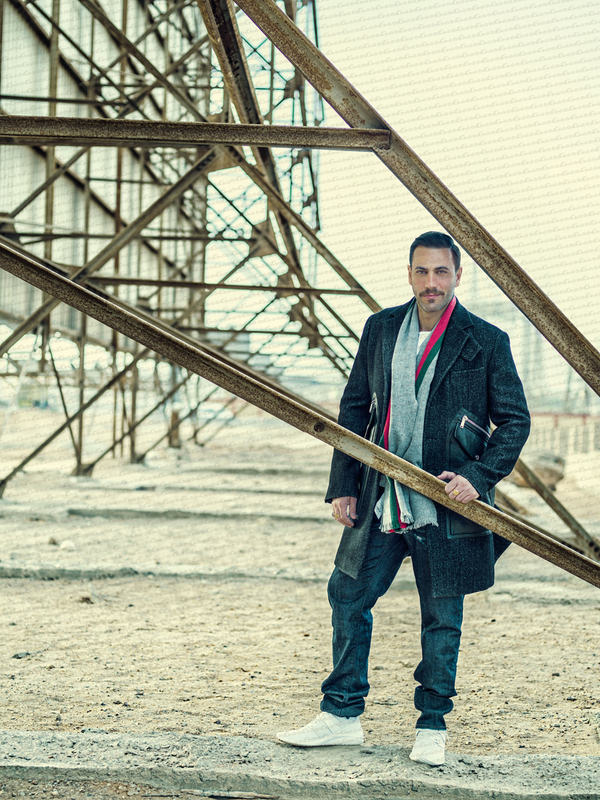 He has since been steadily making a name for himself in one Egyptian television series after another. Following Wannous, Mouawad was tapped to take part in the last season of the romantic comedy, Heba Regl El Ghorab (the Arabic version of Ugly Betty), before he recently really turned heads in the popular social drama TV series, Sabe’ Gar (The 7th Neighbour), which captivated Egyptian viewers with its depiction of the daily tribulations of several middle class families. Mouawad played the part of Tarek, the sweet young husband who was neglected by his wife and who went on to have had an extra marital affair. Mouawad currently spends much of his time in Cairo. He is busy filming an upcoming TV series, a romantic comedy where he plays the lead role, produced by Mohamed Mamish and directed by Rami Rizkallah, He is also writing his own movie, which will still take some time to finish, and which he hopes to direct himself. Looking further into the future, he says he would love to do theater in Cairo too, although he is not yet familiar with the theater scene here. For a man without a plan, Mouawad is obviously doing something right. His easygoing attitude may actually be his strength. He gives the impression that he is not in a hurry to get to the top, and that relaxed attitude seems to make him all the more endearing to the movers and shakers in the industry. One thing is for sure, however; Mouawad is a talented actor with a rapidly growing fan base. This rising star has a bright future ahead, and he has the charms to go with it. It’s strange, but I don’t have any regrets. Animals. I laugh a lot with my cat, and I laughed with my dog when I had one. I also laugh with my sugar glider now. It’s like a cute little squirrel. I love The Hours and Magnolia very much. I also like the old Hitchcock and old Ingrid Bergman films. Do you have a favourite actor and actress? I love John Malkovich, Daniel Day Lewis, Julianne Moore and Natalie Portman. I like alternative music, nineties rock, U2 and Bon Jovi, among others. I am a bit old fashioned in my taste. I watch movies and spend time with friends and people close to me. I value that a lot. Yes. I play water sports; mainly scuba diving and windsurfing, which I learned in Ras Sudr, Egypt. I don’t really have a role model, but I love people who do good to other people. I am affected by such people. Being an artist. I feel that there are a lot of things I like that come with her being an artist. If someone were to write a book about you, what would you like the title of the book to be? 3175, Omar Ibn El Khattab St., Cairo, Egypt.